An anomaly scan, also known as a mid-pregnancy scan, takes a close look at your baby and your womb (uterus). This is done during 18 to 22 weeks of pregnancy as good detail can usually be obtained allowing a more complete assessment of the baby’s structure. The person carrying out the scan (sonographer) will check that your baby is developing normally, and look at where the placenta is lying. Seeing your baby on a screen can be really exciting. You can also take your partner, friend or family member along to share the experience with you. The main purpose of the scan is to check that your baby is developing normally, rather than whether you’re expecting a boy or girl. However, you may want to know your baby’s gender or ask for a photo of your scan. Sometimes, a baby’s position means the sonographer can’t get a good enough view to tell the gender accurately. And some hospitals have a policy of not telling parents-to-be, to prevent mistakes in identifying gender from happening. Ask your doctor about your hospital’s policy. It’s up to you. Early in your pregnancy your doctor should give you written information about why the scan is being offered, how it will help, and what it won’t be able to tell you. This will allow you time to decide whether or not you would like the scan. Most hospitals allow you to watch the scan, which takes about 30 minutes, as it is being carried out. If you haven’t already had a scan in your pregnancy, the sonographer will check that there is only one baby, and confirm your due date. The sonographer will point out your baby’s heartbeat and parts of his body, such as his face and hands, before looking at him in detail. It may be hard for you to make out your baby’s organs, as the sonographer will look at them as a cross section. Your baby’s bones will appear white on the scan, and his soft tissue will look grey and speckled. The amniotic fluid surrounding your baby will look black. After you’ve seen your baby on the screen, some sonographers will turn the screen away for the rest of the scan, and show you views at the end. Some hospitals have a second monitor at the foot of the couch, so you can watch the entire scan. At Foresight Prenatal Clinic, photos of the baby are printed and given out to the mother. The shape and structure of your baby’s head and brain. At this stage, severe brain problems, which happen very rarely, are visible. The following organs are checked by the sonographer during this stage of pregnancy. The baby’s face, to check for a cleft lip. Cleft palates inside a baby’s mouth are hard to see and are not often picked up. The baby’s spine, both along its length, and in cross section, to make sure that all the bones align, and that the skin covers the spine at the back. The baby’s abdominal wall, to make sure it covers all the internal organs at the front. The baby’s heart. The top two chambers (atria) and the bottom two chambers (ventricles) should be equal in size. The valves should open and close with each heartbeat. The sonographer will also examine the major veins and arteries which carry blood to and from your baby’s heart. The baby’s stomach. Your baby swallows some of the amniotic fluid that he lies in, which is seen in his stomach as a black bubble. The baby’s kidneys. The sonographer will check that your baby has two kidneys, and that urine flows freely into his bladder. If your baby’s bladder is empty, it should fill up during the scan and be easy to see. Your baby has been doing a wee every half an hour or so for some months now! The baby’s arms, legs, hands and feet. The sonographer will look at your baby’s fingers and toes. The placenta, umbilical cord and the amniotic fluid. The placenta may be on the front wall (anterior) or the back wall of your womb (posterior), usually near the top (or fundus). If the placenta is near the top, it may be described as fundal on your scan notes. The placenta will be described as low if it reaches down to or covers the neck of your womb (your cervix). If the placenta is lying low in your womb, you’ll have another scan in the third trimester to check its position. By then, it’s likely that the placenta will have moved away from your cervix. It is possible to count the three blood vessels (two arteries and a single vein) in the umbilical cord, but your sonographer may not do this. It’s not routine procedure. She will check to see that’s there’s enough amniotic fluid for your baby to move freely, though. The measurements should match up to what’s expected for your baby, depending on when his due date is. The due date will have been established at your dating scan. If your anomaly scan is the first scan you’ve had, it will be used to work out a due date. Sonographers have a list of conditions to look out for. Some conditions are treatable once your baby is born. Rarely, though, a condition may be so serious that a baby can’t survive. If the condition is treatable, it will help the hospital team to know in advance, so they can make sure your baby has the right care as soon as he’s born. Some conditions, including heart defects and bowel obstructions, may not be seen until later in your pregnancy. Having an anomaly scan will most likely rule out all these conditions, as the vast majority of babies are born healthy. Most problems that need repeat scanning are not serious. About 15 per cent of scans will be done again for one reason or another. The most common reason is that the sonographer has not seen everything she needs to see. This may be because your baby is not lying in a good position, or that you are overweight, in which case the scan should be repeated at 23 weeks. If the sonographer finds or suspects a problem, you will be told straight away. You should have an appointment for a scan with a fetal medicine specialist within three days to five days. If the specialist thinks that your baby has a heart problem, he’ll ask you to come in for a fetal echo scan. 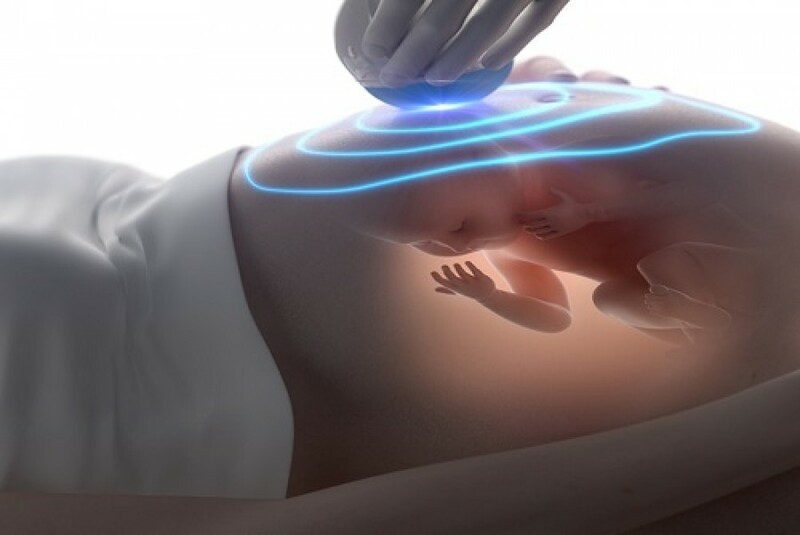 The fetal echo scan will take a detailed look at your baby’s heart. Other problems may mean that your baby needs surgery or treatment after birth, or even surgery while he is still in your womb. There will be a whole range of people to support you through this, including midwives, obstetricians, paediatricians, physiotherapists and the hospital chaplain.